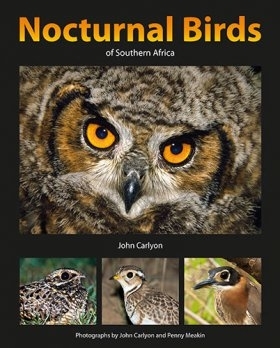 Nocturnal Birds of Southern Africa brings the largely unseen world of night birds to the reader in the pages of this photographic guide, the first to cover the full spectrum of the owls, nightjars, night herons, thick-knees, coursers, the bat hawk and many other species in detail. This full-colour hardcover book has over 300 pages and is richly illustrated with 370 photographs, most of which have not previously been published, by the author and several leading photographers. Introductory chapters discuss nocturnal birds in general terms in the southern African context, and in the species accounts, clear, easily readable text and photographs cover all important aspects of typical adults, nests, eggs or nestlings, juveniles and the habitat of the species, including identification. 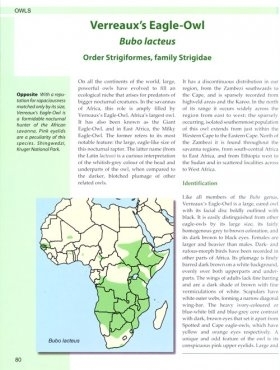 Large, clear distribution maps show the global distribution of each species, and basic species facts and information can be gleaned at a glance from succinct information at the end of each chapter. A new approach to the field identification of nightjars together with a unique set of images sheds fresh light on this difficult family of nocturnal birds. 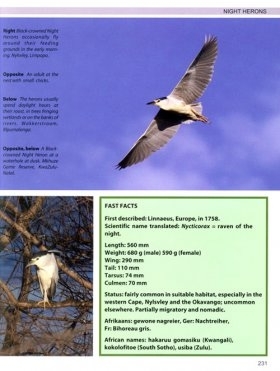 Photographic coverage of nightjar species extends to most of the described races including those of the European nightjar, a publishing first. 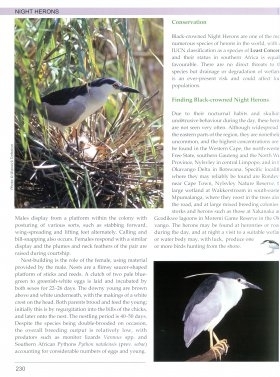 The author, John Carlyon and Penny Meakin, who illustrated the book, were responsible for most of the photography in this highly attractive publication.